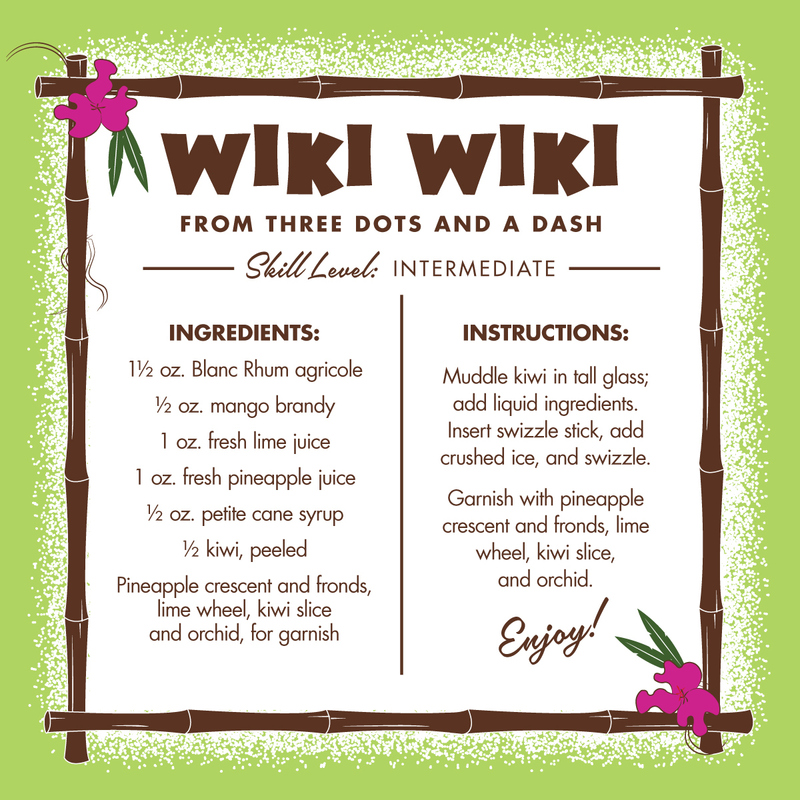 The Wiki Wiki at Three Dots and a Dash is a modern take on a tiki classic. Try this recipe for the home-bartender and then come in and try the real thing! Muddle Kiwi in a tall glass, then add liquid ingredients. Insert swizzle stick and crushed ice; swizzle. Garnish with pineapple crescent and fronds, lime wheel, kiwi slice and orchid. To download a JPEG of this recipe, click here.